It was also revealed that Canadian Prime Minister Justin Trudeau's top fundraiser and senior advisor Stephen Bronfman, heir to the Seagram fortune, moved some $60 million to offshore tax havens with ex-senator Leo Kolber. Washington: US Commerce Secretary Wilbur Ross has business ties to a shipping firm linked to Vladimir Putin's inner circle, according to a vast leak of financial documents that also revealed Britain's Queen Elizabeth II's investments in tax havens. The findings have emerged as part of the Paradise Papers released by the US-based International Consortium of Investigative Journalists (ICIJ), which was behind the Panama Papers made public last year. There is no suggestion that Ross, Bronfman or the queen's private estate acted illegally. But Ross's ties to Russian entities raise questions over potential conflicts of interest, and whether they undermine Washington's sanctions on Moscow. The revelations about Bronfman could spell trouble for Trudeau, who was elected two years ago riding on the coattails of promises to reduce economic inequality and tax avoidance. In the case of Queen Elizabeth's private estate, critics may question whether it is appropriate for the British head of state to invest in offshore tax havens. Ross, a billionaire investor, holds a 31 percent stake in Navigator Holdings through a complex web of offshore investments detailed in the documents examined by nearly 100 news organizations as part of an international collaboration. The 79-year-old reduced his stake when he took public office, according to public filings. Navigator Holdings runs a lucrative partnership with Russian energy giant Sibur, which is partially owned by Putin's son-in-law Kirill Shamalov and Gennady Timchenko, the Russian president's friend and business partner who is subject to US sanctions. The US imposed sanctions on Russian entities and individuals following its annexation of Crimea and aggression in Ukraine. Ross's private equity firm has been the biggest shareholder in Navigator. His personal share of the firm's stake was reduced when he took office in February, but the commerce chief's investment is still valued at between $2 million to $10 million, according to his security filings and government ethics disclosure. The New York Times reported that Ross's stake in Navigator has been held by companies in the Cayman Islands. His wealth, estimated to exceed $2 billion, is said to be tied to similar arrangements in various tax havens like the Cayman Islands. "Secretary Ross was not involved with Navigator's decision to engage in business with Sibur, a publicly traded company, which was not under sanction at the time and is not currently," said James Rockas, a Commerce Department spokesman. "Moreover, Secretary Ross has never met the Sibur shareholders referenced in this story and, until now, did not know of their relationship." 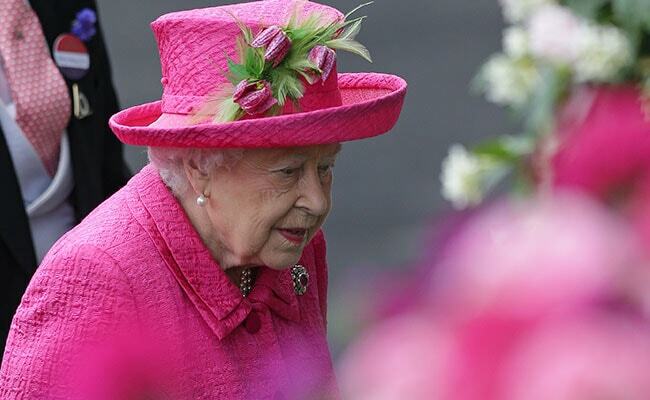 The documents also show around GBP 10 million ($13 million) of the Queen's private money was placed in funds held in the Cayman Islands and Bermuda, first reported in Britain by the BBC and the Guardian newspaper. They reported the funds reinvested the money in an array of businesses, including controversial rent-to-buy retailer BrightHouse, which has been accused of exploiting the poor, and a chain of alcohol stores that later went bankrupt. A spokeswoman for the Duchy of Lancaster, which provides the monarch with an income and handles her investments, said: "All of our investments are fully audited and legitimate." "We operate a number of investments and a few of these are with overseas funds," she added. The spokeswoman added that one of the fund investments represents only 0.3 percent of the total value of the Duchy. The Paradise Papers contain 13.4 million documents mainly from Appleby, an offshore law firm with offices in Bermuda and beyond. The files were first obtained by the German newspaper Suddeutsche Zeitung, and shared with the ICIJ and partner media outlets.